Quality ammo, no issues, burned clean, manageable recoil. I will purchase again. ammo worked well in every way! Great prices, reasonable shipping prices! My wife and I put our first order of 500 through our M&P9 and M&P9c. Zero fail to feed, zero fail to fire, nice tight groupings, and our guns were left surprisingly clean. We'll be keeping an eye on LuckyGunner and grab another 500 as soon as it's available. Best place we've found to buy ammo, better stock and prices than either of our local ranges. No Issues At All! Works Great! Ran perfectly fine in a Gen4 Glock 19. Nice Accuracy! I'm a total noob and put 10 rounds in a 2inch group at 7 yards. Did get one Brass to face, but that is a known gun issue and not an ammo issue. Good price and awesome quality. Just seems to have a more true point of impact than 115 grain. Runs great in my PPQ. Sighted in my new sr9 great shot clean shot all in all good target practice rounds. The longer I shoot, the more I prefer Federal ammo, and the American Eagle 124gr FMJ is excellent. I've shot several hundred rounds already through my Glocks, and no problems whatsoever. Lucky Gunner is #1 in shipping and service. good stuff. glad i found this site. bought a sig p938 for personal carry a couple weeks ago. 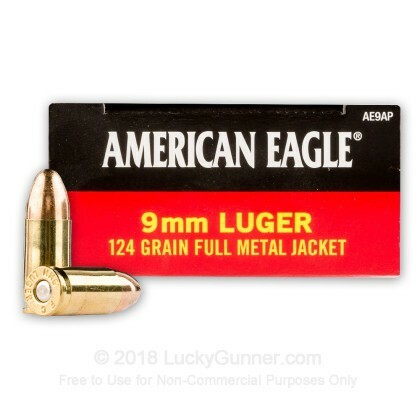 picky little thing that gun lol blazer brass and american eagle 124gr 9mm 100 of each. ordered wedensday got it friday (today) just in time for an afternoon at the range. all rounds cycled through with not one single problem. little sig was easy to clean. quality brands, good prices, quick delivery. thumbs up to LuckyGunner. the little sig likes these!! yay!!! I prefer Federal ammo and Lucky Gunner didn't disappoint. I will be back for more. Purchased 600 rounds for a trip to Front Sight. I had two jams due to malformed casings a result of the process of pressing the bullet into the casing causing the case to deform and expand the diameter of the casing. No damage to my weapon and just a slight delay on the firing line. Shot 100 rounds thru my Beretta 92FS without any issues. Shoots clean. Does not leave the barrel dirty. Ordered on a Thursday and FedEx dropped it off on Saturday! I will most definitely order more of this ammo when it's back in stock. I just ordered these to replace what I used of the first 1000 I bought. Great ammo! Third order from Lucky Gunner. All three placed on Wednesday, delivered on Friday! It doesn't get any better than this! I bought 1000 rounds a couple of weeks back and loved it. Had to get another 500 this time to keep up the supply. No issues with this in my LC9. I'll be happier when it's more readly available! Quick delivery, good availability of harder to get rounds, and very reasonable prices. A relatively minor order; 50 rounds, new manufacture. Quick response, delighted with the service. I recently purchased 1000 rounds of .223 with the same quick response and service. 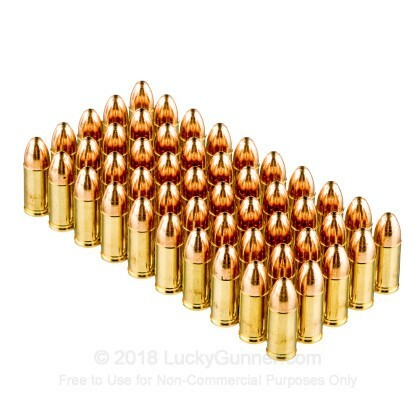 In a time of increasing difficulty in getting bulk ammunition, you guys seem to be able to provide more than most, and at very reasonable prices. Will be ordering more, ( am looking at a possible.17 hmr rifle, and also have rifles in .308 Winchester and .300 Savage.) I will be back. Molen labe. Needed some 9mm ammo and decided to give lucky gunner a try. Wow, couldn't believe how fast the order arrived at my doorstep. I purchased these based on the reviews and price. I was not disappointed. Not one problem in 1,000 rounds. I will definitely be ordering more of these in the future and will always look to Lucky Gunner as my number one source for ammunition. This was my second Lucky Gunner order placed on-line. You’re right – it was just as easy as the first- quick and simple. My order was received as promised and the ammo received was just as stated on your web-site. No complaints, just great service for quality ammo at a great price. LuckyGunner has proven to me to be all that they claim. Just shot 250 rounds through my XDm. Clean and accurate.’ll definitely be back again and again for all my ammo purchases! I bought 500 rounds of this ammo from Luckygunner. I've shot 150 rounds so far. No jams or issues of any kind. I may be crazy, but I feel like the heavier ammo is a bit more accurate than the 115 gr I've shot in other brands. 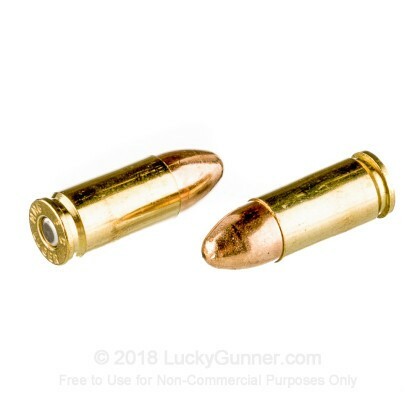 I would definitely recommend not only this ammo, but Luckygunner as well. Good quality and fairly clean range ammo. It is reliable and accurate. It's not as cheap as S&B, but it performs well. I like the Sellier & Bellot a bit more because it's cleaner and cheaper, but this stuff is made in the USA so I try to buy at least half of my disposable ammo from American Eagle. I just picked up the new Beretta Nano and it performs better with heavier ammo. Never used this before but 300 rounds in and not one failure. It is great to shoot and will definitely buy again. Customer service and shipping are the best! Hope to get a great deal on this ammo in bulk. It is very accurate and great at the range. Put a few hundred rounds through my Springfield XD with no issues. All one can ask for when it comes to ammo- quality, performs well, and affordable. I will definitely be a returning customer on this ammo. I have shot about 200 rounds through my Taurus PT111 Pro with great results. As allways I recieved my order in just two days. Thank you Lucky Gunner for great pricing and service. 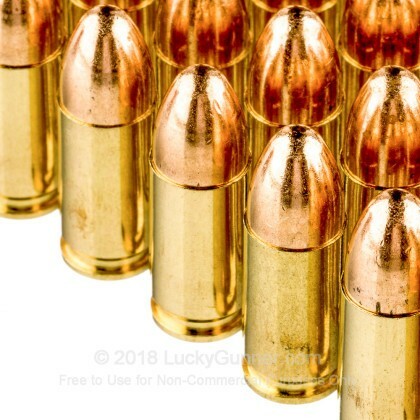 Excellent value on quality 9mm ammo. This ammo fires hot and accurately. Just be sure to clean your gun when finished at the range. My Kimber 9mm has real problems with 115 grain but fires the Federal Eagle 124 grain every time - would not be caught without it. I am very pleased with this ammo. I shoot this through my CZ75B which can handle any ammo you give it, but this stuff if by far the best I have tried for both accuracy and cleanliness. I will be hapy to get more of it!! 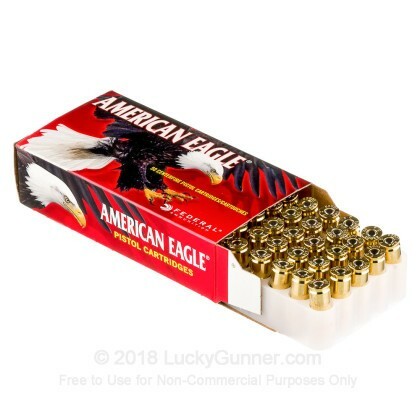 I bought about 10 boxes of this ammo and have used about 5 already. The sound is heavy enough and I will buy again. Good overall qaulity, to be expected from federal. If you are looking for mil spec, clean burning, accurate and consistant 9mm target rounds, this is as good as it gets. Just make sure to keep your magazines and side arm clean. I have had no problems with this product over the years. 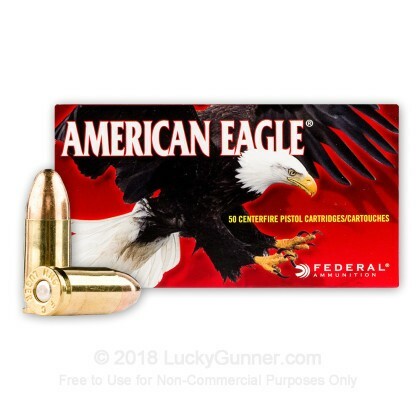 We also have this 9mm - 124 Grain FMJ - Federal American Eagle - 1000 Rounds ammo in stock in a bigger quantity.